"Metroid 2" redirects here. For the second game in the Metroid Prime metaseries, see Metroid Prime 2: Echoes. For the remake released on the 3DS, see Metroid: Samus Returns. Metroid II: Return of Samus[a] is an action-adventure game developed and published by Nintendo for the Game Boy. The first Metroid game for a handheld game console, it was released in North America in November 1991 and in Japan and Europe in 1992. The story follows bounty hunter Samus Aran on her mission to exterminate the Metroid creatures from their home planet before the Space Pirates can obtain them. Players must find and destroy the Metroids to progress through the planet's tunnels. The developer of the original Metroid for the Nintendo Entertainment System – Nintendo Research & Development 1 (Nintendo R&D1) – and producer Gunpei Yokoi returned to develop Metroid II. Samus's round-shouldered Varia Suit, created to differentiate it from her standard suit on the Game Boy's black-and-white palette, became a staple of the series. Metroid II received mainly positive reviews. Critics praised its story and settings, but criticized its graphics and audio. By late 2003, the game had sold 1.72 million copies worldwide. A sequel, Super Metroid, was released for the Super Nintendo Entertainment System in 1994. Metroid II was released on the Nintendo 3DS Virtual Console in 2011. After halting development of a fan remake, AM2R, Nintendo released an official remake, Metroid: Samus Returns, on the Nintendo 3DS in 2017. Samus enters the caverns of the planet SR388. The figures on the bottom of the screen indicate her energy, stock of missiles, and remaining number of Metroids she must eliminate. Metroid II is an action-adventure game in which the player controls the protagonist Samus Aran on the fictional planet SR388. In this side-scroller, players advance through the game by using Samus' weapons to kill a fixed number of Metroid creatures. The player is given a detector that displays the number of Metroids remaining in the area. Once all the creatures are eliminated, an earthquake occurs and the planet's lava levels decrease, allowing Samus to travel deeper through its tunnels. The Metroid creatures are encountered in different evolution stages of their development cycle: original, Alpha, Gamma, Zeta and Omega. The more developed the organism is, the stronger its attack. Metroid II features save modules located around the planet, which allow players to save their progress and continue in another session. The game features two weapons new to the Metroid series: the tri-splitting Spazer Laser Beam, and the Plasma Beam, which passes through enemies when shot. Samus can only equip one beam at a time; however, she can switch between them by returning to where they are first found. Metroid II features the Space Jump, a new suit enhancement that allows Samus to jump infinitely and access otherwise unreachable areas. The game also sees the return of Samus' Morph Ball, a mode in which she curls up into a ball to travel through small tunnels. In addition, the game is the first in the series to feature the Spider Ball and Spring Ball. The Spider Ball allows Samus to climb most walls or ceilings, giving her freedom to explore both the surfaces and ceilings of caverns, and the Spring Ball gives Samus the ability to jump while curled up into a ball in the Morph Ball form. In the events of the first Metroid, bounty hunter Samus Aran foiled the Space Pirates' plans to use the newly discovered lifeform known as Metroids. Some time later, the Galactic Federation, concerned by the events that transpired, resolved to ensure that the Metroids’ power could never again be used by the Pirates, and sent several teams to the Metroid's home planet SR388 to destroy the species once and for all. However, when each of the teams disappear, the Galactic Federation contracts Samus to finish the mission. While exploring the planet, Samus encounters Metroids and destroys them, slowly decreasing the planet's Metroid population. During her mission, she notices the mutations that each creature exhibits: the Metroids grow from small jellyfish-like creatures into large, hovering, lizard-like beasts. After destroying most of the planet's Metroids, Samus encounters and battles the Queen Metroid. Killing it, Samus proceeds to return to her gunship through the planet's tunnels. Along the way, she finds a Metroid egg that hatches in front of her. A Metroid hatchling floats out of the broken shell and imprints onto Samus, thinking that she is its mother. Unable to commit to her mission of extermination, Samus spares its life. She exits the tunnels while the Metroid helps clear the way. Reaching the planet's surface, Samus and the infant Metroid board the gunship together, setting the plot for Super Metroid. The appearance of Samus's suit was developed in Metroid II due to the Game Boy's greyscale display. Metroid II was developed by Nintendo Research & Development 1 (Nintendo R&D1), and produced by Gunpei Yokoi; they both also worked on the previous Metroid game for the Nintendo Entertainment System. It was directed by Hiroji Kiyotake and Hiroyuki Kimura, and designed by Makoto Kano, while Takahiro Harada serving as the main programmer. Metroid II marked a "new high point" for handheld game consoles, with graphics that were almost as good as the 8-bit graphics in games for the NES. The game features enhancements from its predecessor that include easier controls which allow Samus to crouch while firing at the same time, and jump while shooting straight down to attack anything below her. The game also utilizes the cartridge's battery-backed memory for saving the player's progress. In the 2004 interview for the Nintendo Dream magazine, Kiyotake revealed that the planet SR388 was named after the Yamaha SR400 motorcycle. The Game Boy's black-and-white graphics resulted in changes to Samus's gear that eventually became permanent. In the original Metroid, color was used to differentiate between Samus's Power Suit and her Varia Suit—an upgraded version. However, without color on the Game Boy, the two suits would have appeared similar, requiring the developers to develop a visual indicator for players to determine which suit Samus is wearing. They also updated her Varia Suit, adding round metal shoulders that have been a part of the suit in every game in the series since then. Nintendo R&D1 was also involved in developing the Game Boy Color, a successor to the original Game Boy with a color screen. Nintendo of America's Dan Owsen noted that Nintendo R&D1 included a special "Metroid palette" in the Game Boy Color's hardware, which "makes Metroid II look really, really nice on Game Boy Color", remarking that this made the game's graphics comparable to the original Metroid on the Nintendo Entertainment System. Metroid II was released in North America in November 1991. This was followed by the release in Japan on January 21, 1992, and in Europe on May 21, 1992. It has shipped 1.72 million copies worldwide by late 2003. Nintendo included the game in its Player's Choice marketing label in North America in 1993. It was re-released through the Nintendo Power service in Japan on March 1, 2000. On August 17, 2011, Nintendo announced that Metroid II, along with other Game Boy games such as Super Mario Land 2: 6 Golden Coins, Mega Man: Dr. Wily's Revenge, and several others would be released on the Nintendo 3DS's Virtual Console service at the end of the year. It was released in Japan on September 28, 2011, and in North America and Europe on November 24. An unofficial remake, AM2R, was released in 2016. 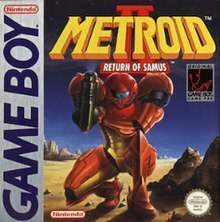 An unofficial remake of Metroid II, AM2R, short for Another Metroid 2 Remake, was developed by Milton Guasti, under the pseudonym DoctorM64. AM2R updates the game's appearance by drawing upon the visual designs of Super Metroid, and features gameplay modeled after Metroid: Zero Mission. It also includes elements such as a map system, minibosses, stackable beams, and a log system with non-intrusive narrative. After years of development, AM2R was released in August 2016 for Windows, coinciding with the thirtieth anniversary of the Metroid series. Shortly after the game's release, the download links on AM2R's official website were removed after Nintendo sent DMCA notices to websites hosting it, although Guasti said that he still planned to continue working on the game privately. In September 2016, Guasti announced that the game's development has ended after he received a DMCA takedown request from Nintendo. Several journalists have enjoyed AM2R, frequently calling it impressive and commenting on the improved visuals compared to those of Metroid II. An official remake of Metroid II, Metroid: Samus Returns, was revealed by Nintendo for the Nintendo 3DS at E3 2017. The game features 2.5D graphics, along with several gameplay improvements, such as being able to aim in any direction and new abilities. It was developed by MercurySteam, and was released on September 15, 2017. Although considered by a few critics to be the weakest game in the franchise and not as well received as the Nintendo Entertainment System counterpart, Metroid II still received generally favorable reviews. Upon the game's release, Japanese gaming magazine Famitsu gave it a 25 out of 40 score. Because Metroid II has a single large level instead of multiple small ones, Tim Jones of IGN found the game a "refreshing departure from the norm", which made him feel claustrophobic the further into the game he ventured. He praised Metroid II's replay value, considering its non-linearity as the primary reason for this. In their retrospective video on the Metroid series, GameTrailers believed that the game still maintained the high standards set by its predecessor and noted that it also introduced new methods of exploration to the series that have become staples. Marcel Van Duyn of Nintendo Life writes that Metroid II "expands on the original title quite nicely", and noted that the difficulty was improved over the original Metroid because of the inclusion of "hot spots" that restores health and missiles. On the other hand, Jeremy Parish of 1UP.com was particularly critical of Metroid II, finding the game painful to play and describing it as "something of a dark spot on a brilliant series' reputation." However, Parish found the game's premise "ambitious", adding that it provided the series a vital crux, as Samus' actions in Metroid II set the plot for Super Metroid and Metroid Fusion. GameTrailers similarly commented that it told one of the most pivotal chapters in the series' overall plot. Van Duyn praised Metroid II's visual detail, writing that the foregrounds and the enemies are detailed so players can identify them easily. Jones considered the graphics average, and noted that the walls appeared mostly the same, which confuses players when wandering through identical tunnels. Parish complained that aside from Samus, the visuals for the environment are "bland and repetitive, full of monotonous rocks and sand with few details to differentiate the various areas, and the enemies are mostly simple and boxy." Parish also found the music "downright painful", which he contrasted with the "moody, atmospheric compositions" the series was known for. Van Duyn similarly commented that the music is the only negative point in the game, and said that the ambient sounds tend to get annoying after hearing them frequently. In contrast, Jones highlighted the music positively, stating that "the lack of aesthetic detail boosts the game's distinctive atmosphere no end, the music playing at just the right times." Jones was also pleased with its sound effects. In the September 1997, Nintendo Power 12 staff members voted in a list for the top 100 games of all time. The magazine placed Metroid II at 34th place on their list of 100 games of all time. In their Top 200 Games list, Nintendo Power also ranked the game as the 85th best game on a Nintendo console, and Videogames.com included it in their list of the best Game Boy games. Nintendo Power listed it as the 12th-best Game Boy/Game Boy Color video game, praising it for introducing several staple abilities to the series. 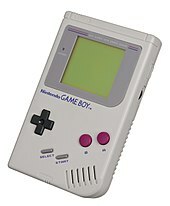 Game Informer's Ben Reeves called it the ninth best Game Boy game and noted that it was polarizing among fans. Super Metroid, the third installment of the Metroid series, was released for the Super Nintendo Entertainment System in 1994. The game's story takes place after the events of Metroid II, and follows Samus as she travels to planet Zebes in an attempt to retrieve an infant Metroid stolen by Ridley. Long-time Metroid director Yoshio Sakamoto remarked at the 2010 Game Developers Conference that he was "very moved" by the ending in Metroid II, which influenced him on creating Super Metroid. ^ a b "Game Boy (original) Games" (PDF). Nintendo of America. Archived from the original (PDF) on October 3, 2008. Retrieved October 18, 2012. ^ a b c "Metroid II: Return of Samus – GB". Game Rankings. Archived from the original on March 15, 2009. Retrieved January 6, 2009. ^ a b "The Planet SR388". Metroid II: Return of Samus instruction booklet. Nintendo of America, Inc. 1991. pp. 11–12. DMG-ME-USA-2. ^ a b c d e f g h Van Duyn, Marcel (November 25, 2011). "Review: Metroid II: Return of Samus (Game Boy)". NintendoLife. Gamer Network. Archived from the original on April 5, 2015. Retrieved March 29, 2015. ^ "Reading the On Screen Display". Metroid II: Return of Samus instruction booklet. Nintendo of America, Inc. 1991. p. 9. DMG-ME-USA-2. ^ a b c d e f g h i j k l Metroid Retrospective Part 1 (video). GameTrailers. Defy Media. Event occurs at 06:36–11:29. Retrieved May 19, 2016. ^ "About Saving The Game". Metroid II: Return of Samus instruction booklet. Nintendo of America, Inc. 1991. p. 10. DMG-ME-USA-2. ^ "Items". Metroid II: Return of Samus instruction booklet. Nintendo of America, Inc. 1991. pp. 15–22. DMG-ME-USA-2. ^ "The Metroid Story". Metroid II: Return of Samus instruction booklet. Nintendo of America, Inc. 1991. pp. 3–6. DMG-ME-USA-2. ^ a b "Return to SR388". Super Metroid instruction booklet. Nintendo of America, Inc. April 18, 1994. p. 4. SNS-RI-USA. ^ a b McLaughlin, Rus (August 24, 2007). "IGN Presents The History of Metroid". IGN. Ziff Davis. Archived from the original on May 11, 2015. Retrieved February 17, 2008. ^ Nintendo R&D1 (November 1991). Metroid II: Return of Samus. Game Boy. Nintendo. Scene: staff credits. ^ a b Kent, Steven L. (May 5, 1994). "Inside Moves -- When You Have To Come Inside, You Can Jam With The NBA, Play Ball With Ken Griffey Jr. Or Fight Evil Metroids With The Hot, New Video Games". The Seattle Times. Archived from the original on April 5, 2015. Retrieved February 19, 2009. ^ Sakamoto, Yoshio; Osawa, Toru; Kiyotake, Hiroji (August 6, 2004). やればやるほどディスクシステムインタビュー(前編). Nintendo Dream (Interview) (in Japanese) (118). Mainichi Communications Inc. pp. 96–103. ^ Robinson, Andy (October 23, 2007). "The History of Metroid". GamesRadar. Future plc. p. 2. Archived from the original on February 18, 2016. Retrieved February 18, 2016. ^ Dan Owsen (1998). "The MDb Interviews Dan Owsen" (Interview). Interviewed by TJ Rappel. Metroid Database. Archived from the original on April 5, 2015. Retrieved January 13, 2015. ^ a b c "Metroid II: Return of Samus Release Summary". GameSpot. CBS Interactive. Archived from the original on August 2, 2009. Retrieved September 27, 2015. ^ ゲームボーイ (in Japanese). Nintendo. Archived from the original on April 5, 2015. Retrieved March 29, 2015. ^ a b c d e メトロイドII まとめ [ゲームボーイ]. Famitsu (in Japanese). Enterbrain. Archived from the original on April 5, 2015. Retrieved March 13, 2015. ^ 2004 CESA Games White Paper (Report). Computer Entertainment Supplier's Association. December 31, 2003. pp. 58–63. ^ Elston, Brett (August 17, 2011). "Metroid II, Mario Land 2, Mega Man and more coming to 3DS eShop this year". GamesRadar. Archived from the original on April 5, 2015. Retrieved August 19, 2011. ^ Bivens, Danny (September 28, 2011). "Japan eShop Round-Up (09/28/2011)". Nintendo World Report. Archived from the original on April 5, 2015. Retrieved March 29, 2015. ^ Newton, James (November 24, 2011). "Nintendo Download: 24th November 2011 (North America)". NintendoLife. Gamer Network. Archived from the original on April 5, 2015. Retrieved March 29, 2015. ^ Newton, James (November 21, 2011). "Metroid II Returns to 3DS VC in Europe This Thursday". NintendoLife. Gamer Network. Archived from the original on April 5, 2015. Retrieved March 29, 2015. ^ a b c Caron, Frank (March 19, 2008). "Not just Another Metroid 2 Remake". Ars Technica. Condé Nast. Archived from the original on April 5, 2015. Retrieved February 19, 2009. ^ Castle, Matthew (February 16, 2012). "Metroid II: Return of Samus… returns! We meet the man out to reboot Samus' Game Boy adventure". Nintendo Gamer. Future plc. p. 1. Archived from the original on February 18, 2012. Retrieved August 9, 2016. ^ Fahey, Mike (August 6, 2016). "Brilliant Fan Remake Of Metroid II Arrives Just In Time". Kotaku. Gawker Media. Archived from the original on August 8, 2016. Retrieved August 7, 2016. ^ O'Connor, James (August 8, 2016). "This Metroid 2 fan remake celebrates Metroid's 30th anniversary". VG247. Videogaming247 Ltd. Archived from the original on August 8, 2016. Retrieved August 8, 2016. ^ Frank, Allegra (August 8, 2016). "Metroid 2 fan remake finally released, quickly hit with copyright claims". Polygon. Vox Media. Archived from the original on August 9, 2016. Retrieved August 9, 2016. ^ Matulef, Jeffrey (August 8, 2016). "Metroid 2 fan remake pleases fans, but not Nintendo". Eurogamer. Gamer Network. Archived from the original on August 8, 2016. Retrieved August 8, 2016. ^ Machkovech, Sam (August 7, 2016). "Fan-made Metroid 2 remake celebrates series' 30th year before Nintendo does". Ars Technica. Condé Nast. Archived from the original on August 8, 2016. Retrieved August 11, 2016. ^ Whitehead, Thomas (September 2, 2016). "Nintendo of America Issues Takedown Request on AM2R, Ending the Project". Nintendo Life. Gamer Network. Archived from the original on September 4, 2016. Retrieved September 10, 2016. ^ Furniss, Zack (August 6, 2016). "This Metroid 2 remake is hot hot hot and you can play the whole thing now". Destructoid. ModernMethod. Archived from the original on August 8, 2016. Retrieved August 7, 2016. ^ Pereira, Chris (13 June 2017). "E3 2017: Metroid 2 Remake Samus Returns Announced For 3DS". GameSpot. Retrieved 13 June 2017. ^ Byford, Sam (June 13, 2017). "Nintendo brings back 2D Metroid with Samus Returns for 3DS". The Verge. Retrieved June 13, 2017. ^ a b c Parish, Jeremy. "Metroid II: The Return of Samus retro review". 1UP.com. IGN. Archived from the original on March 25, 2015. Retrieved January 6, 2009. ^ a b c d Jones, Tim (June 14, 1999). "Metroid 2: Return of Samus". IGN. Archived from the original on April 5, 2015. Retrieved January 6, 2009. ^ "100 Best Games of All Time". Nintendo Power. Vol. 100. September 1997. p. 88. ^ "100 Best Games of All Time". Nintendo Power. Vol. 100. September 1997. p. 93. ^ Michaud, Pete (December 2005). "NP Top 200". Nintendo Power. 198: 74. ^ Davis, Cameron (November 11, 1998). "videogames.com's The 50 Best Game Boy Games: Classic Essentials". GameSpot. Archived from the original on January 26, 2000. Retrieved February 19, 2009. ^ Reeves, Ben (June 24, 2011). "The 25 Best Game Boy Games Of All Time". Game Informer. Archived from the original on April 5, 2015. Retrieved December 6, 2013. ^ Metroid Retrospective, Part 2 (video). GameTrailers. Defy Media. Event occurs at 0:18–5:40. Retrieved May 19, 2016. ^ Nutt, Christian (April 23, 2010). "The Elegance Of Metroid: Yoshio Sakamoto Speaks". Gamasutra. UBM plc. Archived from the original on May 11, 2015. Retrieved March 21, 2015. Sakamoto: I came in again after Metroid II came out, so that was the sort of environment that I came into. I think I may have discussed a little bit in my GDC speech how I was very moved by the last scene in Metroid II, and that stimulus became my motivation and inspiration in creating Super Metroid.